After picking up your RV, head north on Hwy 400. Plan to travel only a short distance today and stay at a campground within an hour of our location to enable you to become familiar with the RV. Plan for an early start today as you leave for Honey Harbour and a day trip to Georgian Bay Islands National Park. Today you continue north to Parry Sound, the world-renowned jewel of the 30,000 Islands on Georgian Bay. We suggest you spend another day in and around Parry Sound, perhaps taking a circle drive to Lake Muskoka along highways 69, 169 and 118 as far as Bracebridge. It’s a leisurely drive ahead of you today as you drive north-west to Killarney, a quaint village nestled at the base of the La Cloche Mountains. Today is the perfect day to check out Killarney Provincial Park, the jewel of the Ontario Parks system, made famous by the group of seven artists who captured its beauty. Begin your journey today heading first to Sudbury before driving to Onaping and then arriving in Espanola, Ontario. Today you’re heading to the world’s largest freshwater island, Manitoulin Island. Manitoulin Island is rich in First Nation experiences. Plan to spend a full day on the island immersing yourself in some of the best experiences the island's First Nation people have to offer. Catch the morning ferry crossing to Tobermory aboard the Chi-Cheemaun. (Be sure to check in one hour before your sailing to guarantee your reservation). This morning, go exploring in Bruce Peninsula National Park (Hwy 6 south of Tobermory). Park at the head of trails, and hike the main trail to the Grotto, a natural sea cave formed by years of Georgian Bay wave action. Travel to the town of The Blue Mountains (Hwy 26 East) today, for some caving and a gondola ride to the top of Blue Mountain. Once at the top, enjoy a picnic, or walk the trail to Scenic Caves Adventures. Enjoy a leisurely day today. Wander along the 14km of sand at Wasaga Beach, making it the world’s longest freshwater beach. Another leisurely day as your journey takes you south back to Toronto. Spend the day exploring downtown this iconic city. 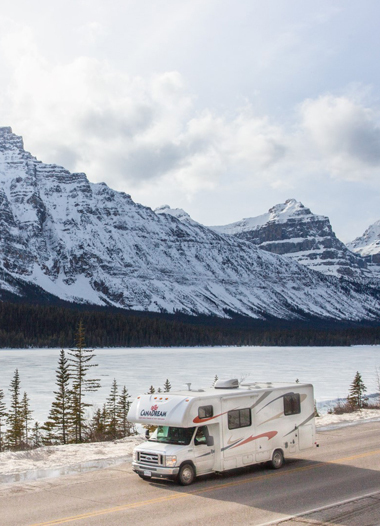 After picking up your RV, head north on Hwy 400. Plan to travel only a short distance today and stay at a campground within an hour of our location to enable you to become familiar with the RV. We suggest travelling as far as Barrie, Ontario. Along the way, you may wish to stop to stock up on any last minute items before you continue your vacation. Take Hwy 400 to the junction of Hwy 5 and turn off onto Honey Harbour Road, taking this road until it ends. Allow at least two hours to reach Honey Harbour. Today you continue north to Parry Sound, the world-renowned jewel of the 30,000 Islands on Georgian Bay. Take the Honey Harbour Road back to the junction of Highway 48 and take South Bay Road back to the Trans-Canada Highway then head north on Hwy 400 to Parry Sound. Parry Sound has a rich history to explore that includes Ojibway Indian settlements and pioneer homesteads and is revered for water activities which include sailing, cruising, canoeing, kayaking and fishing. In late July the city hosts the Festival of the Sound, a series of classical voice and instrumental concerts featuring music from around the world. Overnight in Parry Sound. There’s a provincial park with limited facilities 8km south of Parry Sound at Oastler Lake or you can stay at one of the private campgrounds in the area. Head south on Hwy 11 to Gravenhurst and then back up Highway 169 through Hardy Lake Provincial Park. Here the road back to Parry Sound will leave you with a number of choices, so be sure to check your GPS before returning. It’s a leisurely drive ahead of you today as you drive north-west to Killarney, a quaint village nestled at the base of the La Cloche Mountains. Be sure to stop along the way at the French River Visitor Centre. Here you will enjoy views of the French River gorge as you wander across the suspension bridge on your way to Recollet Falls. Continue on to Killarney. If you didn’t get your fill of Georgian Bay whitefish last night, be sure to check out the amazing fish & chips at Herbert Fisheries right on the dock! There are a limited number of private campgrounds in the area along with a provincial park campground at Killarney Provincial Park. Advance reservations are essential for this park, particularly during July and August. Visit Ontario Parks Reservation Service for more information. Take a boat cruise to Baie Fine Fjord or visit George Lake at the Park’s main access point for a paddle or a hike. After an early breakfast, make the trek to Sudbury (Hwy 69 north). While in the city, enjoy a leisurely stroll along the Bell Park Boardwalk, then visit Science North, an internationally renowned science centre offering hands on exhibits encouraging visitors to play and explore. The centre also includes an IMAX theatre. After visiting Science North, take a 80km return side trip up Highway 144 to Onaping and the A.Y. Jackson Lookout. The lookout offers a scenic view of High Falls as it plunges 55 metres (150 feet) into the Sudbury basin. From Onaping, take Highway 144 south to the junction of the Trans Canada (Hwy 17) and head east to Espanola. Today you’re heading to the world’s largest freshwater island, Manitoulin Island (Hwy 17 west of Sudbury to Hwy 6 south). Enter the Island at Little Current by crossing the oldest swing bridge in North America. Built in 1913, it still swings 15 minutes on the hour to allow marine traffic to pass. Once on the Island, head to Kagawong (Hwy 540 West), for a walk and some sightseeing at Bridal Veil Falls. Take a dip, pull up a picnic table, and then follow the trails to the Bay. If you’re traveling with your bike, be sure to take advantage of the limited traffic and magnificent scenic views by cycling Manitoulin’s backroads. Some experiences include traditional craft, art tours, museums, drumming, nature hikes, traditional cooking and golfing. More information about these experiences are available from the Great Spirit Circle Trail. Overnight at your chosen campground in the South Baymouth area. Don't forget to make reservations for the Chi-Cheemaun for tomorrow's sailing. Once you dock in Tobermory, enjoy some time wandering the streets of this picturesque fishing village while you await your boarding on a Flower Pot Island excursion. Whilst on the island, wander the trail to the former lightkeeper’s house. Back ashore, check into your campground for the night. If you’re planning on spending another day in Tobermory, we suggest you find a campground close to the town otherwise head south to Summer House Park, a CanaDream Club partner campground close to the Bruce Peninsula National Park. This morning, explore Bruce Peninsula National Park (Hwy 6 south of Tobermory). Park at the head of trails, and hike the main trail to the Grotto, a natural sea cave formed by years of Georgian Bay wave action. When you’ve finished exploring, carry on down the Bruce Peninsula (Hwy 6 south), into Owen Sound, stopping at Inglis Falls for a breathtaking view as the Sydenham River cascades over the limestone cliffs of the Niagara Escarpment. If you’re up for a walk, take the Pines Loop through the forest. If it’s a more energetic hike you’re looking for, take the trail to Harrison Park. Whichever way you get there (by car or by foot), be sure not to miss this opportunity to explore the labyrinth of caves and crevices. Before leaving the Caves, venture cross Ontario’s Longest Suspension Footbridge, for a view while suspended above the world! If you’re travelling with bikes, cycle the Georgian Trail, a rail trail running between Meaford and Collingwood. Enjoy a leisurely day today. Wander along the 14km of sand at Wasaga Beach, making it the world’s longest freshwater beach. It has six designated beach areas including five for families and one for entertainment. A trip along the Blueberry Trail will take you to Ontario’s largest parabolic sand dunes for bird watching opportunities. Next find your way to Midland (Cty Rd 92 East to Elmvale, Left on Cty Rd 27, then Left on Cty Rd 93), and the Wye Marsh, a designated “Important Bird Area”. Allow 1-2 hours for your visit. An admission fee is payable. If you have time, you may like to take a drive up to Awenda Provincial Park. Here you’ll find opportunities to fish, canoe, boat, swim and view wildlife, in particular white tailed deer, porcupine, raccoon and squirrels. There are six campgrounds in this park. Overnight at Awenda Provincial Park or in a private campground near Midland. Another leisurely day as your journey takes you south back to Toronto. Spend the day exploring downtown this iconic city. Find a campground close to tomorrow’s drop-off location and leave your RV there while you take public transport into the city. We have a number of CanaDream Club partners in the area who will offer you discounts on attractions when you book through CanaDream – make sure you download the app.